The song and dance list for the final of Strictly Come Dancing has been released and so, for the last time this year, look away now if you want to avoid spoilers! Claudia Fragapane and AJ Pritchard just missed out on a spot in the final last week. Despite achieving their highest score of the series on Saturday night, the dancing duo found themselves in the bottom two alongside Danny Mac and Oti Mabuse. Unfortunately, Claudia and AJ’s quickstep was not enough to save them in the dance-off and all four judges agreed to send the pair home. We can hardly believe that the final is now upon us with just three remaining couples left in the competition: Danny Mac and Oti Mabuse, Ore Oduba and Joanne Clifton and Louise Redknapp and Kevin Clifton. Which pair will be taking home that famous glitterball trophy? The final three are expected to perform up to three dances for the grand finale. First they will all deliver their Show Dance, followed by their favourite dances, before finally showcasing a previous routine selected by the judges. 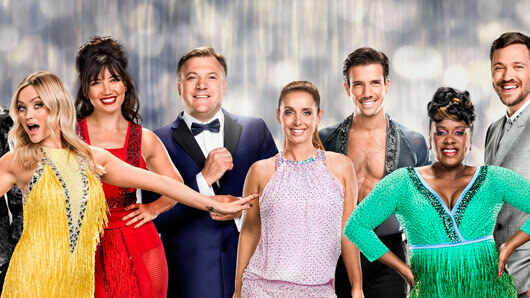 The judges’ selections are still yet to be confirmed so it will be interesting to see which routines the four of them pick for our Strictly finalists. This week there will not be a separate results show but rather the winner will be announced at the end of Saturday night’s show. Exciting stuff! Strictly Come Dancing continues Saturday at 7pm on BBC One.